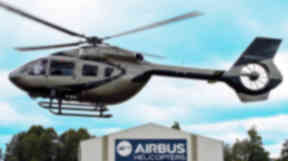 The state-of-the-art Airbus H145 helicopter was grounded on Mull for repairs. A new state-of-the-art air ambulance broke down during a whistle-stop tour of the Highlands and Islands. The Airbus H145 got stuck after suffering "technical difficulties" on Mull at around noon on Friday. The aircraft has been billed as the most advanced publicly-funded air ambulance helicopter and will provide a lifeline service to Scotland's rural communities. The chopper is one of two due to replace EC135 helicopters which have been in service since 2006. The Scottish Government is paying an additional £1.9m this year, on top of £200,000 for the next two years, to allow the Scottish Ambulance Service to charter the larger helicopters. They are larger, and faster, with a greater range, which reduces the need to refuel on longer missions as well as being the first air ambulance in Scotland to operate with night-vision equipment.